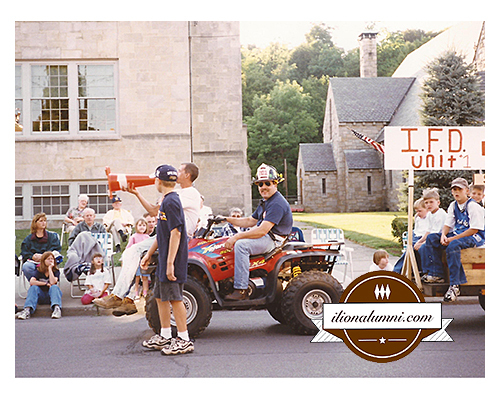 The annual Ilion Days began 31 years ago. It has now become the preferred weekend for Class Reunions. 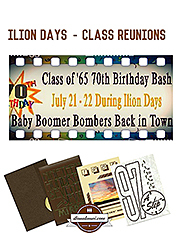 This year the following classes will be holding their reunions on the weekend of July 21-23: The 50th Reunion for the Class of 1967 (that's a milestone reunion), 1977 - 40th reunion, 1997 - the 20 year reunion and 1965 - Class 70th Birthday Bash Reunion. Details on these reunions are available on the Reunion News page. Whether you are just a spectator or participate in the parade, the Friday night Doo Dah Parade is a great time to catch up with family and friends. The Elks Club and the Knights of Columbus are on the parade route and are always centers of alumni gatherings. Details on the Ilion Days Schedule is available on the Ilion Days web site. The Bay of Pigs featuring Ilion Class of 1966 alumnus, Pete Donahue as Fidel Castro. Winner of the First Place Prize! You never know which Ilion Alumni you might meet up with on the parade route. Many return for class and family reunions. It's always a good time and great to see everyone. The class of 1975 held their 40th reunion on that weekend in 2015. The milestone reunion being celebrated, during Ilion Days in 2017 year, is for the Class of 1967. On Friday, they plan to get together downstairs at the Elks Club at 7:30 or after the Doo-Dah parade for some refreshments and laughs. Robert 'Bob' Turley helped organize this reunion along with Nancy Collea Curley. 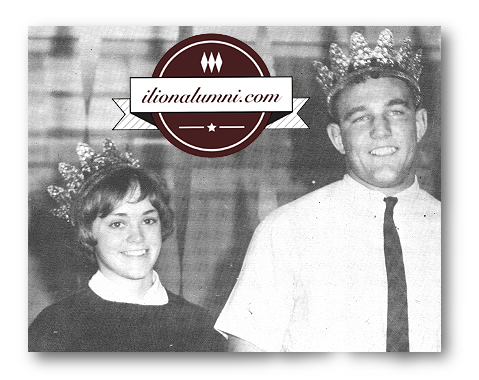 Homecoming King and Queen - Joan Withington and Dave Steele. 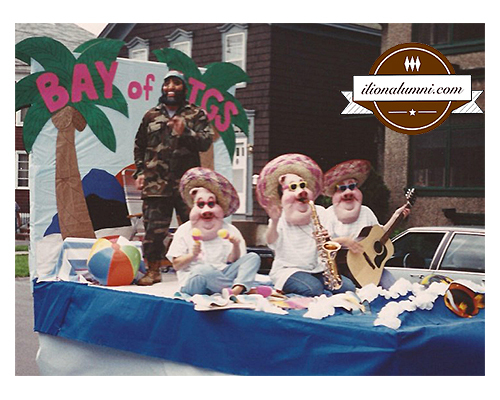 The Class of 1977 will be holding their 40th reunion and entering a float in the Doo Dah Parade. 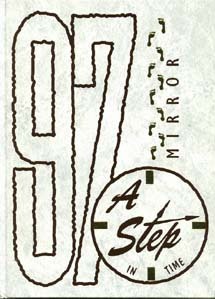 On Thursday night/evening, they will be decorating their float, on upper Otsego St. of the former Parker's Gift shop. 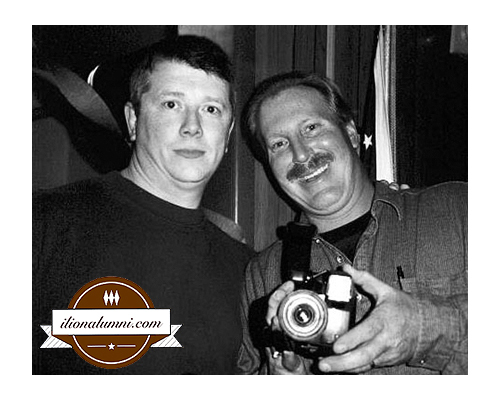 Gary Fletcher and Chuck Brooks. Brian Stefanec, Ross Getman, Brian Lytwynec and wife, Leigh (Daly) Lytwynec. 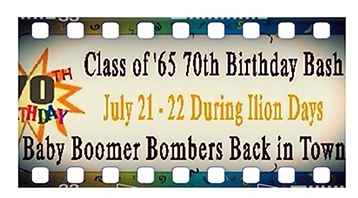 The Class of 1965 will be celebrating this year as most members turn 70 years old. Can you believe that 1947 was the 2nd year of the 'Baby Boom' and they are now turning 70 years old? 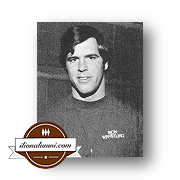 See events planned on Class of '65 70th Birthday Party - Facebook Event page "Friday those who would like, will be gathering on the Elks Lawn around 5 pm, parade starts at 6 pm. Many other classmates from other classes always hang around there, so we should get to see many others. Bring lawn chairs if you like, but they do have some picnic tables set up and have food and drinks to purchase. Saturday we will have a gathering at the Maneen Pavilion around 1 PM. The Ilion Boy Scouts always have a Chicken BBQ that day, and we thought we would order from there and have it brought to the picnic. We will have other munchies and of course a large Birthday Cake!!" 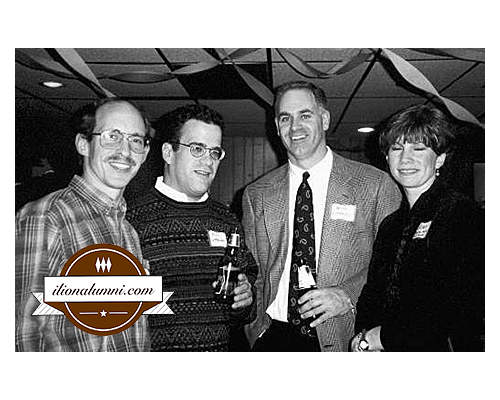 The Class of 1997 will host their reunion at the Moose Club on Friday July 21st, from 8-12 PM. Cash bar and cost is $25 per person / $40 a couple and payment will be taken at the door! 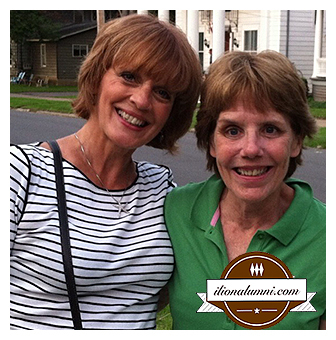 "Since our class was one that hung out with many others from other grades they are more than welcome to attend. However, they will also be charged. Hope to see some of those from 1996 & 1998!"